If you have any questions or want to enquire about dates, use our form to contact Odilla Pelloli or see their website for more information. Hugged by steep wooded hills and a winding shoreline dotted with ancient villages, Lake Como is arguably the most stunning of the region’s three big lakes, and this lakeside villa will keep a lively gang of friends or family contented. Laid out over three storeys, there’s tons of space to spread out and do your own thing – three separate living spaces with a TV in each, books to read, a covered terrace… Come together on the second floor for lazy meals out on a veranda with views. You’re on the fringes of Onno, where you can hop on a ferry to visit other lakeside towns – Lecco, Bellagio, Varenna. The ferry point is opposite Bar Onnolulu – pick up milk, bread, cheese and cold meats here; sit and people watch over your morning coffee. Eat out at Al Batel fish restaurant or Trattoria Grigna; a few paces from the villa is La Breva – a relaxed restaurant with outdoor seating overlooking the lake. Take your book out to a peaceful corner of the garden, loll about on loungers by the pool or cross the road to your private lakeside ‘beach’. Hire bikes from one of the many companies and zip off on a gentle, flat lakeside ride stopping for gelato along the way. 5-9pm, Saturday changeover for the house. 10am, Saturday changeover for the house. Minimum stay: 3 nights in the apartments, 7 nights in the house. 1 January-to 5 April. 20 October to 31 December. Tourist tax, €1 per person per night. 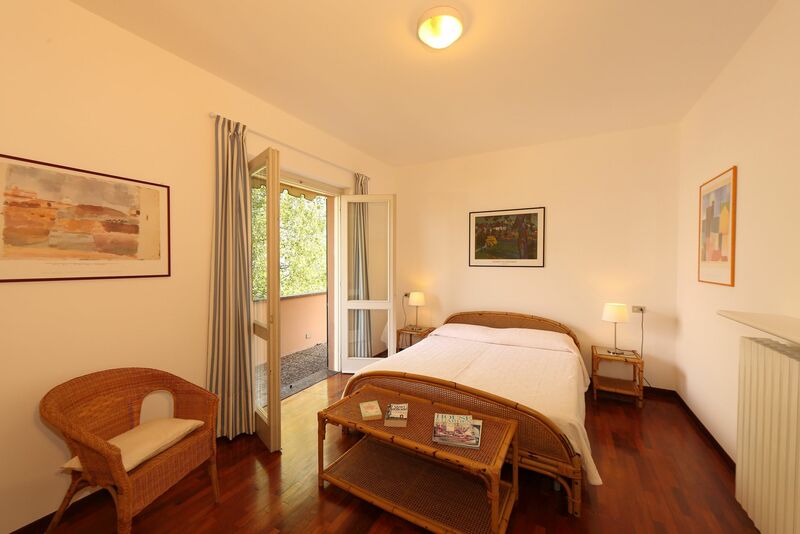 This very private villa is ideal for families and friends, max 16 persons. The perfect combination of being altogether and yet having your own space at the same time. Dine at home on the veranda overlooking the lake and mountains or use the 2 BBQ's for garden dining. Excellent restaurants, wines lists and ice cream are all within a 10 min walk. 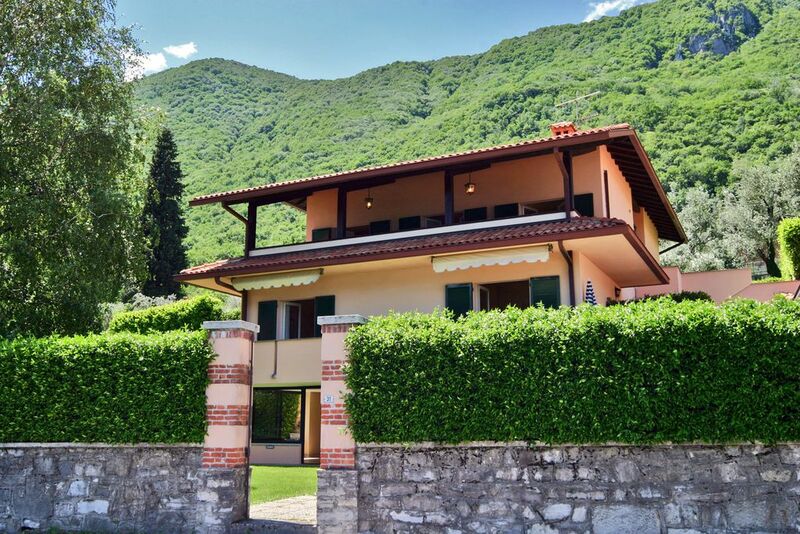 The private pool, garden and lakeside beach (pebbled) are just amazing however please find time to hop on a ferry 10 mins away and explore what this quieter part of Lake Como has to offer. 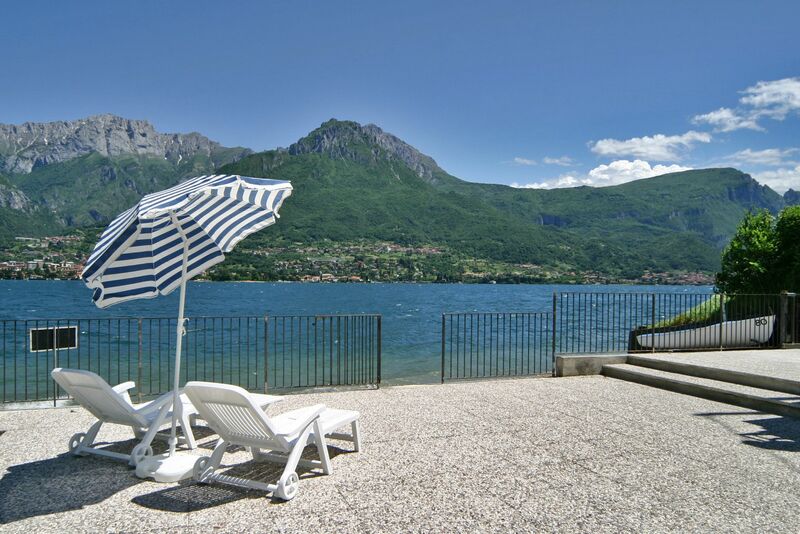 Onno is a quiet corner of the lake, away from the crowds, but easily accessed by regular bus and ferry routes so you have the option not to hire a car. Visit lakeside towns: Bellagio, famous for its art galleries and narrow streets lined with shops, cafes and restaurants and the Villa Melzi gardens (open March-October); Mandello del Lario is the birthplace of Guzzi motorbikes and has a museum (free entry) dedicated to its history. It’s a good place to pick up local produce or artisan gifts at the Monday morning market in the main piazza. Lecco has incredible views of Lake Como from the bell tower Campanile di San Nicolo – one of the highest in Europe. Signora Odilla and her husband Mario live in nearby Bellagio. She will meet you and can give you tips and information for your stay; if you arrive by public transport, she can even take you to the supermarket to do a big shop. Both come from the area and are retired with a grown-up family and enjoy being grandparents. They built the villa in the 1970s and look after it well.